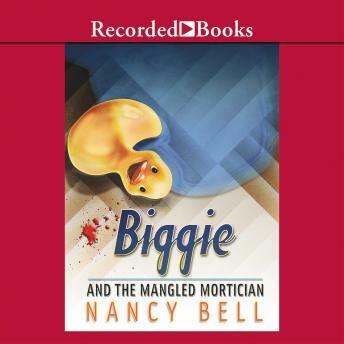 Biggie Weatherford, the Miss Marple of Job's Crossing, Texas, is back in this sequel to best-selling author Nancy Bell's hilarious Biggie and the Poisoned Politician. This time around, Biggie tries to discover who killed the mortician. Shenanigans are afoot in Job's Crossing. When the three-inch heel breaks off gay police deputy Butch Jenkins' cowboy boot, thief Cooter McNutt escapes-until Aunt Vita straightarms Cooter and sits on him. Meanwhile, Biggie's 12-year-old grandson J.R. takes an interest in Rosebud's fundamentalist Voodoo church and the wondrous menus of Willie Mae, Biggie's cook. And when J.R. finds undertaker Monk Carter's crushed corpse, he helps Biggie investigate.